Of course, there are always exceptions—last Thansksgiving, the NY Times has an excellent article by Jill Lepore on what life was really like for Ben Franklin—as compared to his sister Jane. Really fascinating stuff from a historian I admire. I used this ravelry pattern, but after I made them I came across a ton of others that were even more elaborate. I’m pretty happy with how these turned out, though I never did get around to using thread to make the different sections. I bet it could be modified to make a gourd too. 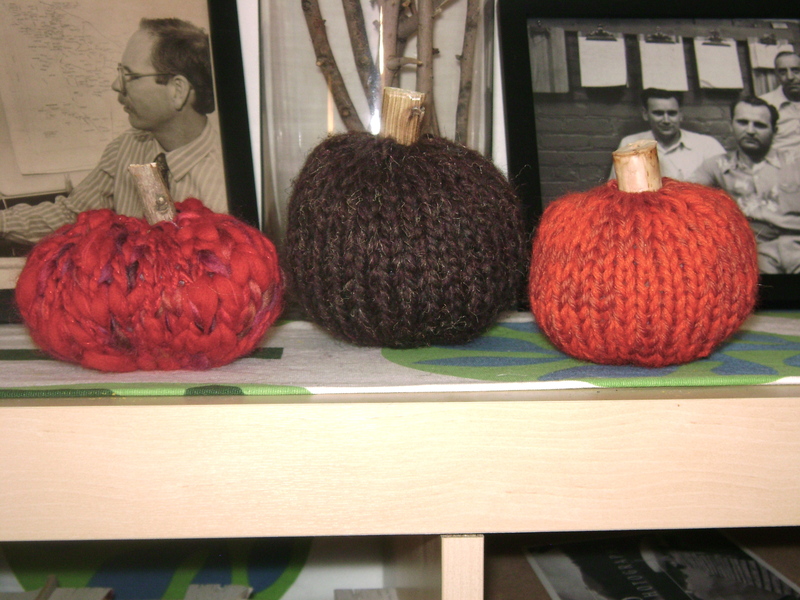 The best thing about these pumpkins is that you can use up small bits of really cool looking yarn that you have left over. 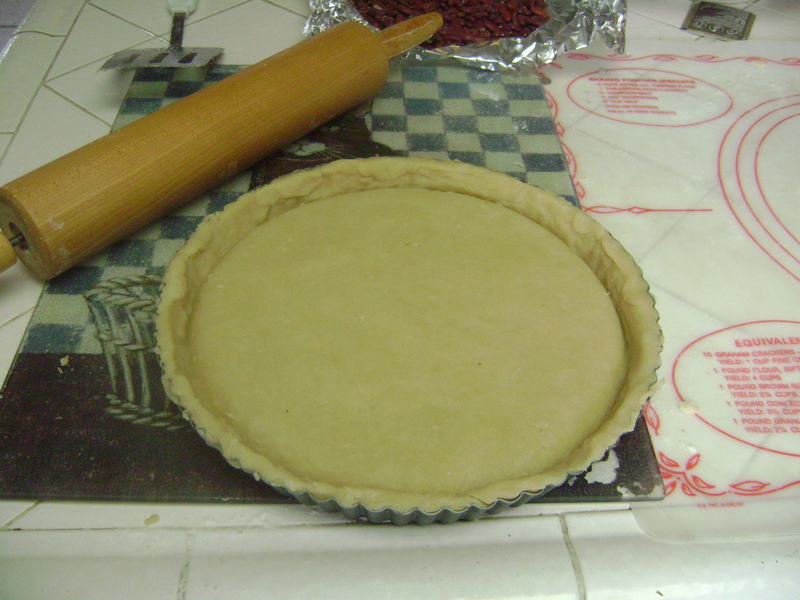 Then I made the filling—squeezing 6 lemons and separating a dozen yokes from whites took forever, as did cooking it. 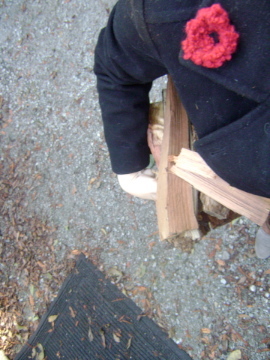 I was in a hurry at this point, so the photo is pretty blurry. 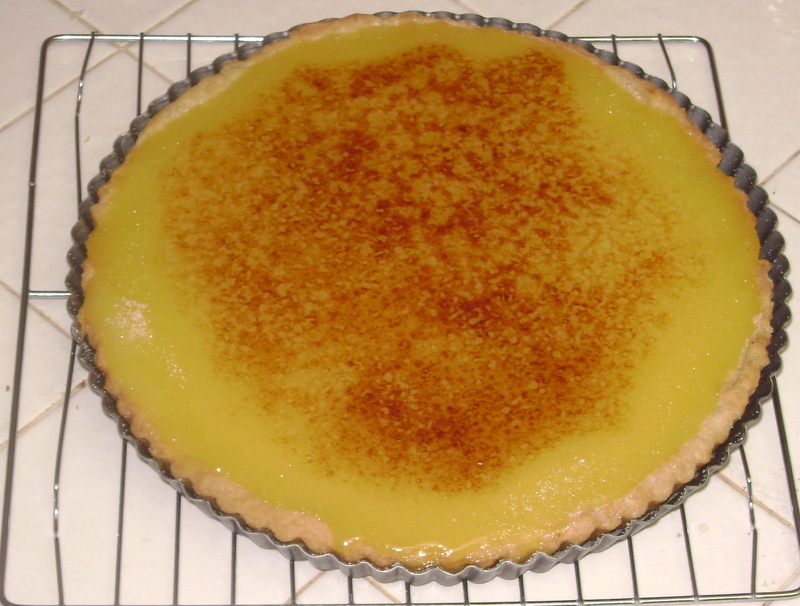 But finally, I got to the really fun part: caramelizing the top. There was a brief moment where it looked like we were out of sugar (!) 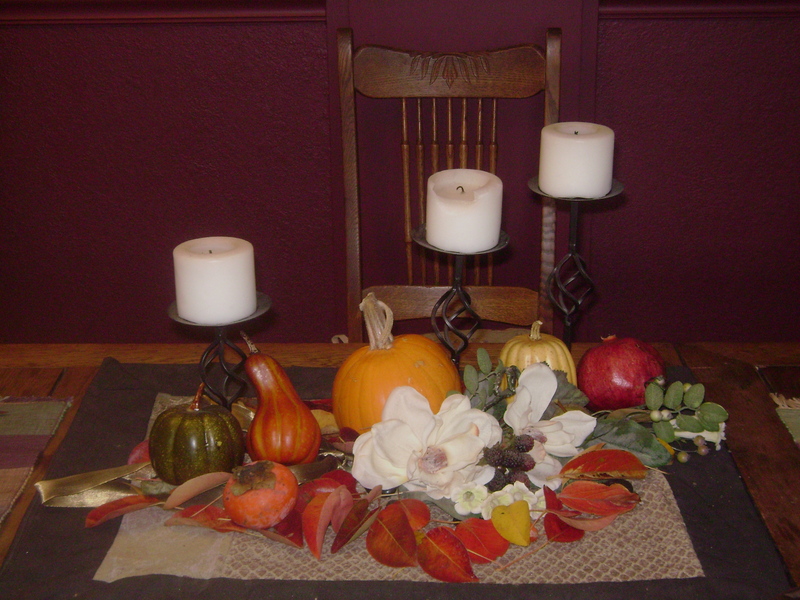 but it turned out okay because there was some left in the sugar bowl on the table. I used the broiler to get it to brown. Again, I wish I’d put on more and taken more time to do this, but the results were delicious. 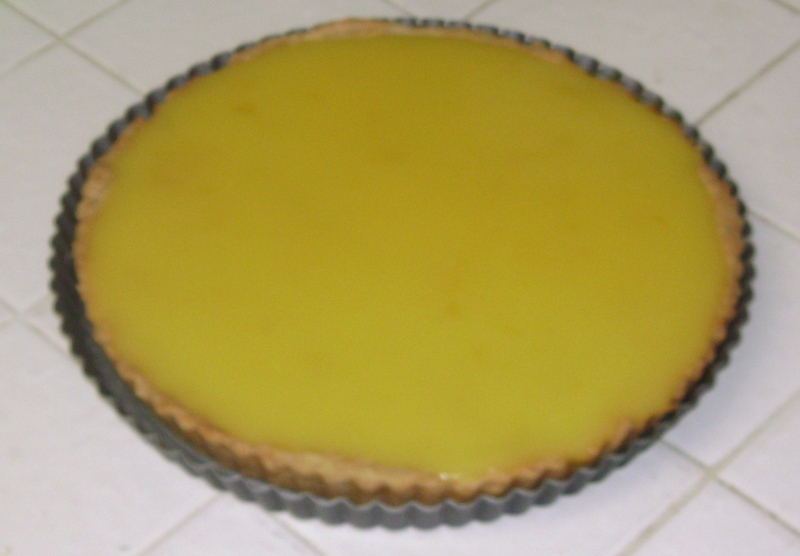 I’m really pleased with the effect—the crunchy caramelized top is a great contrast with the smooth tangy lemon filling. But seriously: so much work! 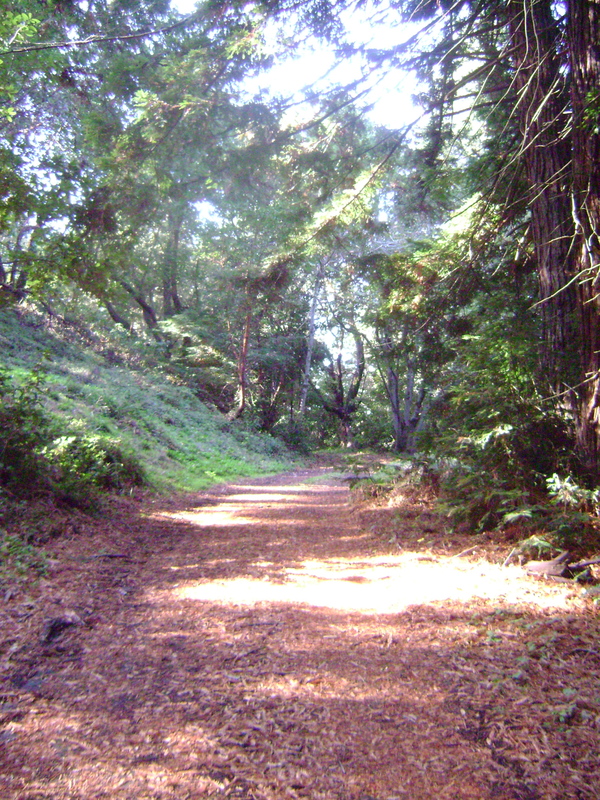 I spent most of this weekend in a house in in Santa Cruz county surrounded by redwood trees and moss. I took the above photo this morning, when the sun finally peaked out of the fog. It was too cold to do too much tromping around until this morning, but I’m glad I did have a look around. 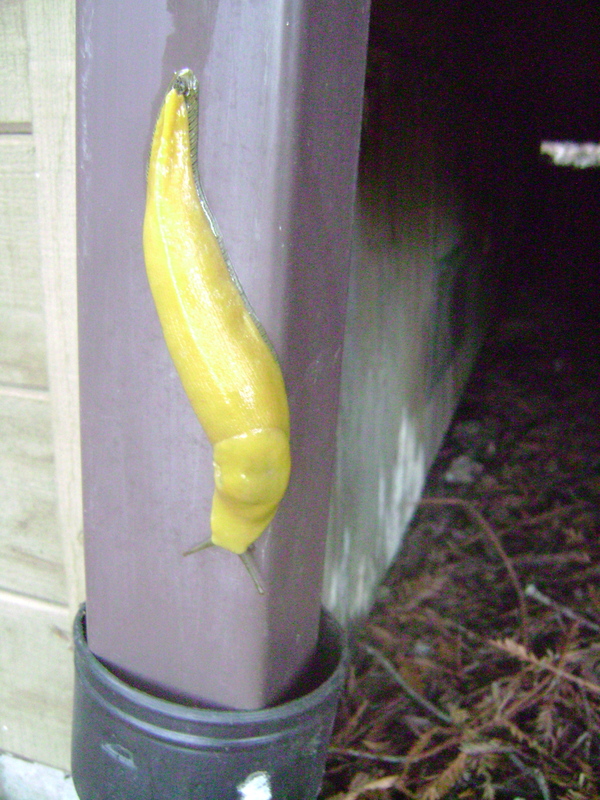 Because otherwise I would have never seen.. my first banana slug! I normally find slugs and their snail relatives to be rather unpleasant, but I was quite amused by this guy. It’s so yellow! 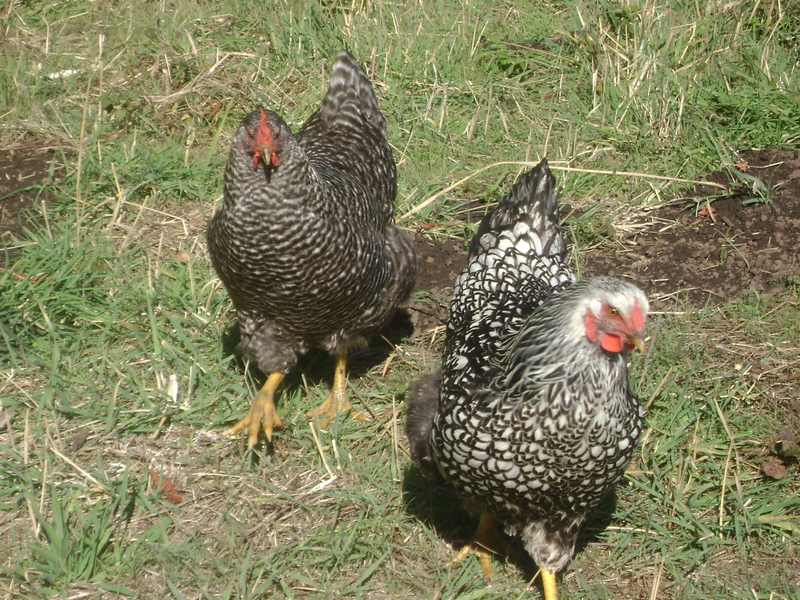 Other creatures spotted this weekend included four cats, two horses, and (appropriately for this blog), a bunch of chickens! I did manage to get a decent amount of knitting done both at the house and during the car ride (photos to come). But the photo above shows one of my Friday morning projects: a crocheted poppy for Remembrance Day. I downloaded a free knitting pattern but it gave me nothing but trouble—knitters will understand that trying to knit in the round with black yarn with only one stitch on each of your double pointed needles is just asking for frustation. So I whipped this one up from scratch using a crochet hook. I’ve been debating about whether to start a blog for a while. I figured I’d probably get around to it at the end of this week, maybe Friday. Then I realized: Not only is Friday Veterans Day. 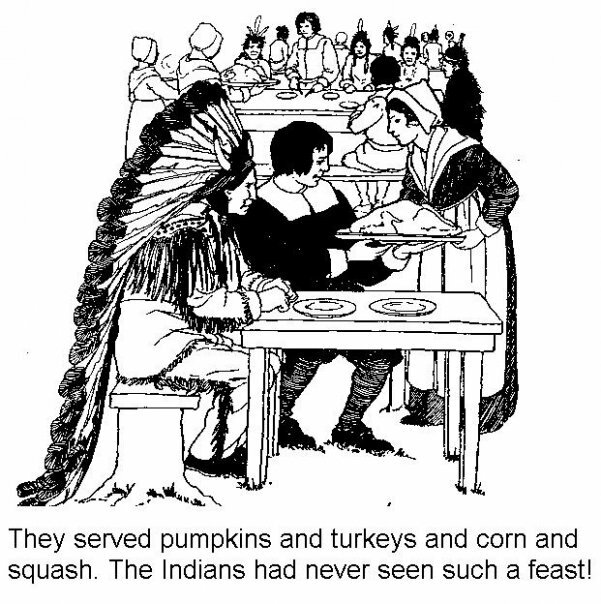 Friday is Nov. 11, 2011.
. This article tells me people are planing to do quirky things to celebrate the weird date. Of course, this other article says other people are freaking out that the world is going to end (but then again, isn’t someone always freaking out about Armageddon?). Ok you probably aren’t asking any questions. But I will ask some for you. Q: Why is this blog called knitbyahenshop? Second, its a completely made up phrase that sounds like it should actual exist. 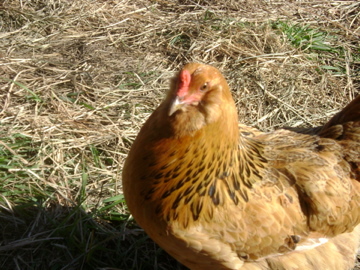 Like, oh, yes, knit by a hen shop. Isn’t that a yarn store? Er, a craft studio? It’s run by a lady? Third, and perhaps most important, no one else out there seems to be using this phrase or handle or what have you besides me. Yay! I’m a unique snowflake on teh internets! I will adopt this nonsensical moniker and people will know me! A: I don’t know yet, but I hope that it will include creative adventures like knitting and other craft-ish stuff, vegetable gardening haps and mishaps, historical tidbits that I swear will be interesting even if you’re not into history, and anything else I feel like putting here. Q: Do you have some sort of adorable animal that you can post cute pics of? A: Of course I do! This is the internet! 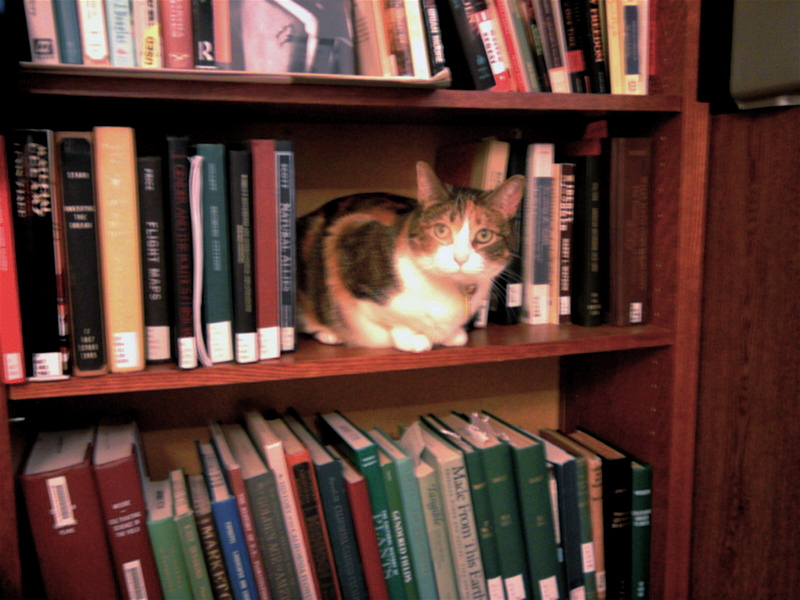 A bit of light, furry reading. This is Josephine, but mostly I call her Jo. Her hobbies include drinking from the shower, stealing socks from the drawer, and rubbing her face on men’s beards. She likes you even though she has not met you, because for some reason that is how she rolls. She’s a people cat. Q: So, do you have something knitted to share or what? A: Finished objects are harder to come by these days, and I don’t want to post any gifts that haven’t been delivered yet. But I do have a few. I made this aviator hat the night before my cousin Marie’s baby shower, while listening to Tina Fey’s Bossypants on audiobook. I had never done any baby knitting before, but it turns out to be exactly what you expect: knitting things in tiny sizes. 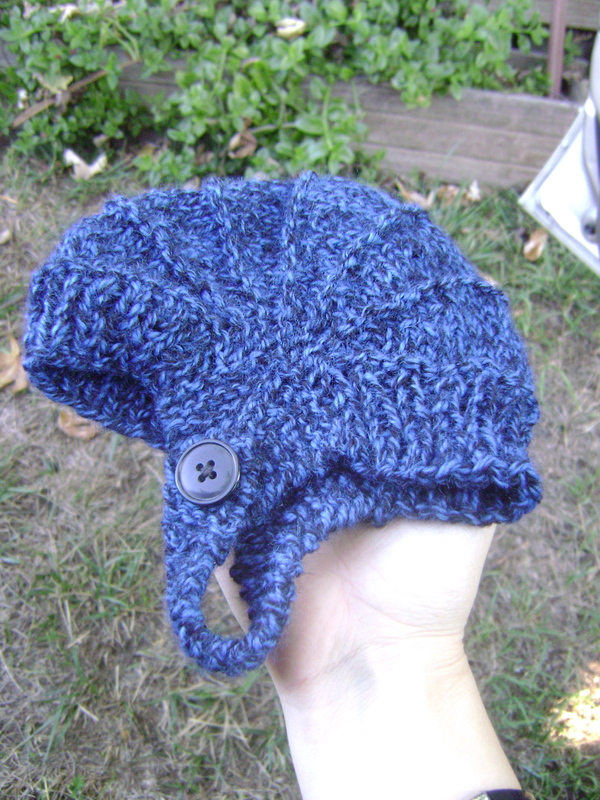 I really liked the short row shaping for this hat. I’m also really impressed that the ravelry pattern comes with directions for three different yarn weights and six different sizes! I think the biggest would actually fit my head, so I might have to make myself one someday. Only tricky part was picking up stitches for the straps, but I think that’s because I knit left handed and it made semi-confusing directions completely backwards until I figured out to flip them. 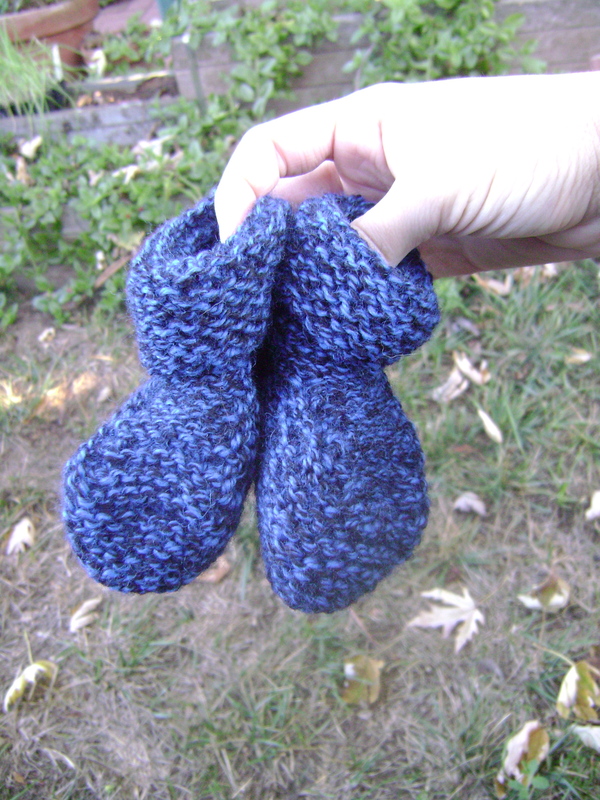 These baby booties are pretty basic, which is what I wanted. I picked this multicolored yarn to match Kaleb’s nursery theme (night sky with sun moon and stars), so I wanted a simple pattern. I actually made them first. Sewing them up was a bit of a pain, but I’m just impatient when I finish knitting and have to sew a seam. This also involved some short row shaping, which I’m starting to really like. I only wish I’d gone down one size—my loose gauge is always causing me problems with size. But overall I like them. This post has gone on far longer than I intended, but I have to say one thing about the poppy. I posted the poppy photo because I’ve meet a lot of people who don’t know why poppies and Veterans Day go together. What we in the United States call Veterans Day is known to Europe, Canada and most of the world as Remembrance Day. Nov. 11 1918 was Armistice day, the day that World War I ended. While the United States lost maybe about 100,000 or so soldiers in the Great War, European countries lost millions. Its estimated that France and the United Kingdom lost 30-40% of their young male population—in a few short years, a whole generation was cut in half. One of the ironies of the war is that in the midst of the disturbed earth from trench warfare and the graves of so many casualties, poppies bloomed more beautiful than ever. 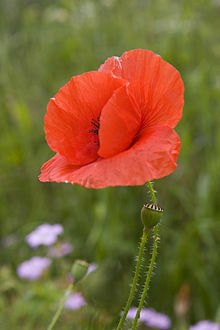 There’s a famous WWI poem “In Flanders Fields” that came to symbolize the experience of that war for many, and the red poppy remains the icon of Rememberence Day. It never seemed to have caught on in the States—but I kind of wish it would.